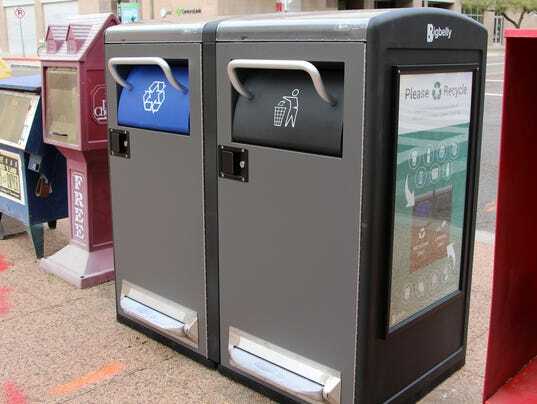 "Solar-powered trash bins compact Phoenix waste, decrease trash collections"
Solar-powered trash cans placed in downtown Phoenix compact and reduce trash, spur recycling and cut down on trash collections — and may herald a new way to get rid of trash, Phoenix officials say. 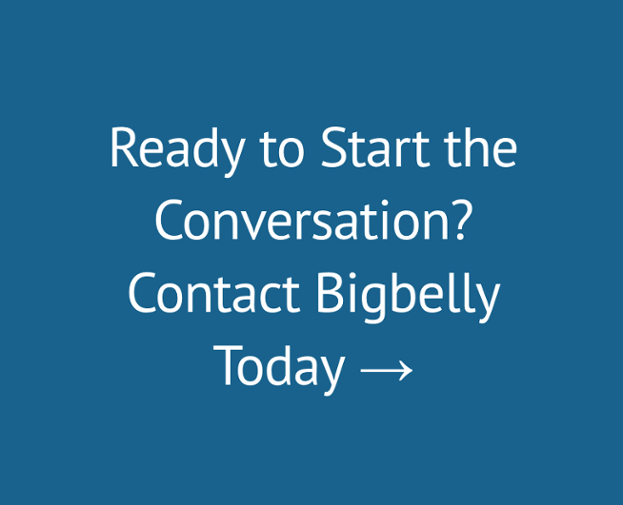 The trash cans, nicknamed Bigbellys, turn 15-minutes of daily sunshine into enough power to compact trash. The compacting process leaves room for more trash and recyclables. The bins hold eight times more trash than a regular can, according to Samantha Jackson, who oversees operations at Downtown Phoenix Inc., an organization to promote and revitalize the area. “They are really meant to be more effective in terms of trash collection,” Jackson said. “We are excited to have them because the other great thing about them is they have a separate recycling bin. (With) our old recycling efforts, everything went to the landfill because it was so contaminated with trash and recyclables," she continued. People often throw away chicken bones and other trash into the blue bins, polluting the contents of the bins and causing the waste to get sent to the landfill instead of the recycling plant, she said.